We're up and running in Indian Wells and Roger made a solid start defeating Paul-Henri Mathieu 6-2 7-6(5) to move into the 3rd round. It wasn't the prettiest match to watch but I thought Roger was the worthy winner and did well to hold off Mathieu's late charge. This one started with a nervy opening service game from the Frenchman as he fired down two double faults to drop serve cheaply. Getting broken first game can often set the tone for the match and this was a real gift. From there on nothing much happened as Roger served well and held all his service games comfortably. It looked like he was able to find the spots on serve and Mathieu never had a realistic chance to break back. At 4-2 the Frenchman's serve again went missing and Roger broke for the second time before serving it out 6-2. The second set looked to be starting in the exact same fashion but 5 unforced errors from Roger in the game allowed Mathieu to hold. Mathieu then saved a break point at 2 all but Federer finally got the breakthrough to lead 4-3 before holding to take a 5-3 lead. The Swiss then had a match point on Mathieu's serve but couldn't take it as the Strasbourg native held on to force Federer to serve it out. That went badly, as seems to be the case lately, as Roger dropped his own serve for the first time in the match. 5 all was soon 6-5 Mathieu and at 0-30 on Federer's serve it looked like we could have had a decider on our hands. In true Fed-style though he dug himself out of that game with big serving to force the tie break. By this time Mathieu had got himself into the zone and was creaming his backhand deep into the court. He'd looked out of ideas for most of the match but in the blink of an eye he had Fed scrambling and unable to boss the rallies. With his backhand firing Mathieu immediately went up a mini break to lead 3-1 before Federer reeled off 4 straight points. 5-3 then became 5 all with the next 2 points on the Federer serve. He dropped one of them but then capitalised on a Mathieu second serve to rifle a forehand winner into the open court to take it 7-5. Job done. The key shot was probably the whipped forehand on the run Federer hit at 0-2 in the breaker, had he gone down 2 mini breaks it would have been tricky to claw them back (check 7.35 in the highlights). A solid start I think, not vintage or great to watch but he did pretty well to ride out the storm when Mathieu was coming up with the goods. Mathieu seemed to find his game from nowhere and began to pound groundstrokes which caught Roger off guard. I thought he got a little passive when it was at the business end of the second set and that cost him. He was always on the backfoot in the rallies and having to defend hoping to draw an error rather than pressing to force it. Edberg looked a little disappointed he didn't close it out first time of asking so I'm sure they will discuss that in their post match talks. I thought he should have returned a little more aggressively and tried to get on top from the first ball strike after the serve. Chipping and then starting at neutral worked in Mathieu's favour as he is quite good at moving his opponent around. But anyway, can't complain too much as Roger dug deep to hold at 5-6 with some clutch first serves and came back from a mini break down to win the breaker. Another decent display of hustle and mental toughness to grind out the win. 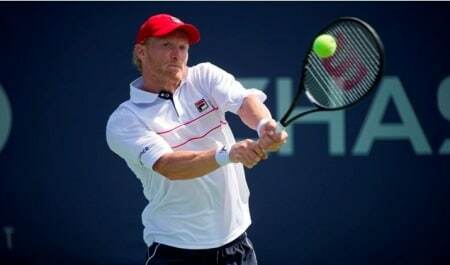 Next up is Dmitry Tursunov who defeated world class pusher Juan Monaco. 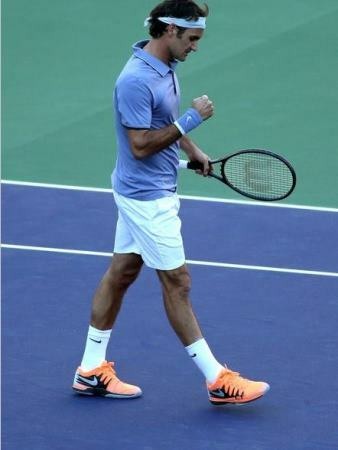 He's 0-3 against Federer and by making the 3rd round has matched his best ever performance at Indian Wells from 2009. Based on those stats I don't think there's much to worry about for Fed fans as Roger is better in all areas. Tursunov is a solid opponent though so Fed would be daft to underestimate him and just has to stay sharp to get the job done. I've not seen him play this year but his best result was making the Semi's in Sydney. Since then he's lost to Dimitrov in Rotterdam and Rosol in Dubai. Fed in straights 6-4 6-4. Not the cleanest match but served well he needed it in the breaker to come through unscathed. I only saw your email this morning, did you manage to get back on live chat? I couldn’t work out if you came back on after you had sent it? wasn’t able to, unfortunately 🙁 maybe a bug or something :)) but I think it is okay now 🙂 Hoping for the next match to be cleaner than this one 🙂 Thanks Jonathan! Debatable 😛 I didn’t have a clue what to write other than the opening paragraph. Mathieu is streaky, caught fire for a brief period. If he didn’t serve so many double faults he may have got a set. Jonathan, what are your thoughts on doubles, will going deep be a good idea? I wouldn’t mind at all. I don’t think they will go deep to be honest. Probably just put in a “below par” performance if they get to a certain point if they are both still in singles. Doubles is probably less physically demanding than a typical practise sessions / practise points. I mean check that vid vs. Dimitrov that was posted on last post, far more hard work than doubles. Only thing is I guess it’s more mentally tiring as in front of crowds and media commitments etc. Fourth, and I read the article 1st. Pretty sloppy in parts. No flow to this match. Thanks for the write-up. Stepanek almost had the win. Yeah it was sloppy in parts, I think Fed played ok though, like Mathieu was spanking it in the 2nd set after he broke back, did well to keep calm and get it done in straights. I didn’t see Nadal vs. Stepanek but judging from score it was a close one. Tursunov is my hero for this comment about Rafa! About time players start complaining about double standards in the game. Hi Chris. A late reply to part of your comment on a previous post here about “the level of censorship on Western mainstream media”. Did you ever read Estulin’s book “The true story of the Bilderberg group” ? If you didn’t, I think you should one day. We have the French translation “La veritable histoire des Bilderbergers” at home. It’s a fascinating book to read, which among other things gives you precious insight in the topic of censorship in the western media, and is backed up with evidence in the enclosure of the book. Much appreciated, Wilfried, thanks! I’ll read it. Trust me Scooter, you just read about it, I watched that match. That Ellison is a horrible moneymachine guy. Don’t know why I thought he was a Roger fan. He is DEFINITELY a Rafa follower. You should have seen it. 3rd set 2-3. Stepanek was up 0-40. Oke…. have to be honest, kudos to Rafa for getting rid of all the BP. But that horrible horrible man, seriously fistpumped once when Rafa fought off one BP and even looked up and put his hands up the sky when Rafa got rid off all the BP. How “low” is that? I mean come on, did he not see they were showing his face? How would Stepanek feel? He was playing the match of his life. How would his team feel? Would they not have something like, well Ellison, then why don’t you put Rafa immediately in the final if you don’t want your golden goose to be defeated??? And….. to top it off, seriously, I am getting mad thinking about it again, when Stepanek left the court, Ellison ACTUALLY stood up and applauded Stepanek !!! If I was Stepanek and I saw on screen during the play his reactions, I would have (after losing to Rafa), turned to Ellison and given him the middle finger !!! Me personally, I thought it was not done when Richard Krajicek treated Roger just like anyone else when he played in Rotterdam. I thought, why would you do that? You know your sales went up because Roger was here. Now, I am actually PROUD of Richard Krajicek for treating everyone the same, no matter who he is. Haha is reaction was like his company had just tripled in value on the stock market. Clown. Well he must hv had a heart attack last night then when the Dog took Nadull out! And my day was complete when Fed/Stan won their dubs! Allez les Suisses! Given how the slowness of the court evens things up, thought Fed stayed calm and just brought out the better shots when it mattered! Winning in 2 was gd though seeing how the likes of Muzza are struggling! Stadium 2 court is horrendous! Like treacle! Oracle stocks have crashed and Java has stopped responding on my computer. Murray and Nadal had a nail biter while Federer had it easy-ish(in terms of scoreline). Is that good thing? I don’t think it makes much difference, winning is priority so how you do it isn’t so big a deal in a tournament like this. Maybe if they keep going 3 sets it will tell towards the end of the tournament but we’ll see. I did watch the whole Nadal match. Ellison loves Nadal. I usually don’t watch Nadal but it was interesting to see his poor form. Who is the girl/woman always at Ellison’s side? She’s been there for years. Girlfriend or daughter? I’m going to put in a formal complain…my comment was started before the others….so I should share 4th. Lol. Glad to hear that. Ha. HAHAHAH. The comment that Tursunov makes about Nadal is priceless. Perfectly well said. Spot on. Roger better start playing better from next round. Need a lot more winners and lot less unforced. Nishikori could be a tricky match. Match against Stan would be close. Hope Murray finds his best form by then to kick Dull out. Not likely to happen, but one can always hope. …But one can always hope, and Nadal can always dope! I don’t know if this was sarcastic statement or something you meant “it’s accellerating the recovery process of his injuries” if this is something you really meant, I would like you to elaborate more on that. Look, Shamtoot, Nadal needs doctors around him virtually all the time. Now, he cannot have doctors around him all the time as that would make everyone suspicious as to why he has doctors around him all the time. So, Nadal must stay injured all the time. That way, he can have doctors around him nearly all the time. It’s just coincidence that Nadal indeed stays injured all the time, even when he is tearing down opponents. Especially when he is tearing down opponents. I think Fed can handle Nishikori, no weapons. Yeah but think it will be Haas! Nice to see Federer applauding his opponent’s shots in the highlights video above. He doesn’t often do it. I’m with Gaurav, I like to see it. Not on every shot, but an acknowledgment once in a while – hey, nice shot. I didn’t see that, what minute does it happen? It sounds very un-Fed like. I actually hate it when opponents applaud the shot as it is unnecessary and disingenuous IMO. At 4:20 in the highlights, it looks like he does applaud on a service return winner. But knowing Fed, he’s just waving his hand across. And Berdych crashes to The Royal Bank of Agut. Quite a surprise as he came from a break down to win the first set only to lose the next 2. Did ya watch the match? Did Berdych Implode or did bautista agut play great? Nah didn’t see any of it. RBA just pretty consistent I think. Berdman not over his loss at the hands of Fed. …. and just read Juan Martin is out. Good for Fed’s ranking, but sorry to hear it. Juan Martin is apparently talking about “getting healthy for Miami” but frankly that sounds optimistic. Not to say delusional. Thanks for that Thinker. I’ve seen bits of it but really wanted the whole thing. Very interesting as you say. And Berdych losing also good for Feds ranking but bot gd for the tourney! Djoker clear path to final but won’t get tested much. Route clear for a breakthrough! Grigor anyone? I agree with you Sid, except that Roger has had a pretty rough time over the last year so maybe deserves a little luck as well as winning. And if it’s at someone else’s expense well it’s not his fault. Thanks. Always interesting to hear what Roger has to say. Something is always surprising. Cheers for the share Thinker I hadn’t seen that. I now pronounce you Head of Interviewing & Press Conference Sourcing at peRFect Tennis. Numerous perks including 4pm finish on a Friday. Good post, I think Roger is playing himself into form at IW. Conditions are different from Dubai but at least he is riding on the confidence wave to push himself through each match. Nearly tripped at the finishing line still a W. He needs to be a little aggressive and don’t go federror when serving for the match. Yeah conditions are much different here so probably a bit of acclimatising needed. Good honest post, and given how Muzza and Nadull struggled to adapt from their previous damp heavy conditions, clear that actually Fed did ok. Needs to up the winners but boy did he hang tough at 5/6, 0-30! Winning ugly does me when needed as 6 months ago, he Wld hv lost! And we all know PHM is streaky as J stated so Fed did well today except at 5-4 serving for match. Yeah it was actual decent to get it done in straights. Fed of 2013 goes three there for sure. I actually started appreciating Federer even more. Recently I went to Maldives and apparently I found that the resort was managed by Swiss company. So naturally you will see a lot of Swiss tourist on island. I was wearing RF cap all day and people were noticed that I am Roger Federer fan. They approached me and became my friends and I took this opportunity to know more about our hero. They told me that it is so easy to approach the guy when he is in Switzerland. People told me that he is extremely down to earth and locals love him sooo much from kids to elderly. I could see their faces that they are so proud of him and they are so glad that I being non-swiss love Roger Federer. They offered me to come to Switzerland and they promised me that they will try to arrange a meeting with Roger himself. I was like…Whatttt !!!! Roger is THE Ambassador of Switzerland! Finally we have something else than chocolate and cheese to brag about 🙂 His down-to-earth behaviour, his ability to speak French as well as Swiss German, and his ‘normal’ family life make him very accessible for other Swiss people to identify with him. When you meet him, it’s like meeting the new nice guy from the neighborhood, he makes everybody around him feel comfortable and at ease. No complex of superiority off court. Still, it might not be so easy for your friends to arrange a meeting with him, since he hardly stops in Switzerland. I mean, I will leave everything and will go to Switzerland to meet Roger if it’s possible. Nice little interview here for those who haven’t seen it. Thanks Rita, cutty cute interview… I totally would love to be his little girls nanny! At least for a year (on the tour!!!) Who wouldn’t you’d say?! Cheers Rita for the share, hadn’t seen that, good interview. Personal without being intrusive, and some pertinent questions for once. Ah, thank you Rita – I wondered where some of those quotes had come from since they weren’t in the other transcript. Rita, I notice they talked about the hall in Geneva selling out, & thought hey, I know somebody who’s part of making that happen! Didn’t see the first but the second set was terrible. Sure, Mathieu got into the match but that’s because Roger had absolutely no contact. The BHx were absolutely garbage. 80-90 landed in the service box waiting to be crushed. Any top 10 player would have ended the point right there. The contact on the FH was better but not consistent. I got the feeling that he simply didn’t enjoy the match, just had to win it. I think a little harsh, he had no rhythm and then suddenly Mathieu starts hitting a big ball. Caught him off guard. Had virtually sleep walked through the first set. Looked a little tentative on BH often stopping mid shot and shanking, not sure, maybe ball not coming through the court. ” Q. Where have you placed the Australian Open trophy? And when do you think it will start getting boring with all the questions and Australia and all the things you achieved over there? STANISLAS WAWRINKA: Well, I think I’m not going to get boring about those questions, you know. It’s more about being Swiss No. 1 that’s annoying me. But about winning Grand Slam, I think it’s great. It’s positive. So I can answer many few questions if you want. Anyway, after saturday’s match I was amused (read here annoyed 😉 ) to notice that if it’s not the opening service game, it’s the one when serving for match… Fed should really not throw such important services games… If I never doubted he would win, I really could do without the extra drama!! Roger that Alex 🙂 Think your message is more for Conal and Jonathan. They have such good streams or such fast computers that they know the score before we do 🙂 And you are TOTALLY right about the jinxing part. Hope (especially) Roger and Stan will not be too tired for their doubles. They are the only ones left. Andy, Delpo, Novak, they are all out. I bet Stan is sick of all these dumb questions, it’s like they are trying to get a response so they can write a headline about how they are big rivals and misquote something. I actually think the dynamic between Fed / Stan is kinda a little weird sometimes when you see em together. Like they are friends but not really lol. Hey Jonathan, I think Roger gets more along with Chiudinelli and the others. With Stan it looks more like it is “forced”. Neither Roger or Stan are perfect, think they are kind of the same. I do think Roger is really happy for Stan that he is a GS winner, but to be honest I get the feeling he doesn’t like it that Stan is the Swiss number one, ahead of him…. Yeah he should turn off Twitter during tournaments. Yeaaaah!!!!!! Federer through a pretty tough match against D Tursanov. Good effort has got the W. Onwards and upwards. Worst match ever Murray vs Verysilly. Jiry should have won. Yeh. Started really well then I don’t know what happened. This failure to serve out each time is a bit worrying though. Overall though, his game was a lot sharper than it has been, and most importantly he won! Every dog has his day. Dopal eliminated! Isn’t that great, justice has been done… Moon ballers don’t rule today!!! He is just going through his customary cycling down phase. He’ll be back just in time to tear through the clay season…If not then the bio passport really has he and his team spooked. Surprise win, don’t think Dolgo even managed a set before. OMG! Just watched Dolgopolov beat Nadal. What a match. Dolgoplov was serving for the match and completely screwed up. I thought that was the end of him. But he managed to pull it off. Nadal just doesn’t look like himself. Maybe the final in Oz has something to do with it. I don’t usually watch Nadal play too often but the last two matches were something else. A lot of upsets so far. Who will be holding the trophy on Sunday? Deserved victory for Dolgo! Did you see Nadal heading back to locker room on the little car? Such a pity! Enjoyable pity!!! Did he again act like he was injured or something? He totally looked depressed and maybe crying actually! holding his head in his hands and he seemed to be wiping his eyes… He seemed devastated by the loss!!! Ah Ah Ah!!! He was just beaten today! No excuses! Don’t worry, we will hear an excuse soon. Credit to Stan I think, who has made others believe it can be done if they just stay tough. Expected Nadal to win when I saw he got the break back in last set. That’s the usual scenario. Stan is playing amazing! He destroyed Seppi! If Roger gets to the quarter it’s going to be very very though! Seriously though. Stan seems to be better accustomed to the surface than Roger so far! He needs to step up his game next round if he wants a chance to go far in this tournament! Agreed. Stan has never been better positions, or prepared, to beat Roger. Am not going to miss it for anything, if they both make it that far. Yes but Stan hasn’t played in form players so far and Fed has played dangerous flat hitters who can go on a tear! Seppi? Give me a break! Who will get the most cheers? Stan the new GS winner or Suisse olden golden dude Roger?? Cannot believe it, with the year Novak had in 2011, with Andy winning Olympic Gold and 2 GS, with the year Rafa had in 2013, with the “bad” year Roger had in 2013….. they still could not take away the Fan Favourite Awards !!! We need to be realistic, Roger mostly needs to! He needs to be ready for Hurricane Stan and prepare for the storm. If they meet it’s going to be a huge battle. As you say Sid, Stan is in the ideal position…but so is Roger (though he needs to show us he feels his game better on this surface). Tough match! Me too. Shld hv put him on court 2, slower than slow! Hey Susie, sorry for my mistake in spelling. I did not see Rafa’s match, but I did track the scores. When I saw Rafa win the second set, I thought well that’s it. I always thought Ellison was a much bigger Federer fan over Nadal?? Well…. not by the way he reacted when Rafa got rid of all the BP in the Stepanek match. See my comment somewhere above. Serves him right Ellison. Roger would have beaten Stan anyday anywhere. But this is GS-Stan !!! Come on Roger, no Rafa, you have to step up now….. Anyone worried??? I am. Luckily Roger scrapes by the first matches, but when he has to, plays kind of like JesusFed…. Ps: If Roger gets by Stan…. he will win IW for sure. Biggest threat is Stan I think…. I thought yesterday’s match was good! Tursunov was hitting the ball pretty well, and the tie breaks just show it was a close match. If you look at the stats, they’re pretty dang solid 🙂 that’s my two cents anyways. Hey Simon, I love to make predictions, but…. I am not good at it. Remember last year I told you all, watch out for Goffin 🙂 Anyone remember him??? So I am not always right. But somehow I do think Dimi will make the final. And I have a feeling Roger or Stan will win IW. Preferably Roger ofcourse. Oh and Simon, about yesterday… there were 2 TB, but I thought Roger’s stats looked great…. ‘A solid start I think, not vintage or great to watch but he did pretty well to ride out the storm when Mathieu was coming up with the goods.’ It sums up peRFectly my thoughts, too. Really happy that he’s been in a good mental state for quite while now. Are you guys going to buy the lavender kit? Watch out, I might get you! Funny tweets from Stan yesterday. Sorry to see Nadal so upset after his loss yesterday. I woke up and checked the score and when I saw he had broken back in the last set I thought that’s it, he’s got it. Usual scenario. So was really surprised to find he lost. I’m in two minds. Glad he lost of course, but don’t really like to see any player crushed like that. Hey Rita, where do you get Stan’s tweets? Do you go to his site or somewhere else?? I love him , he tweets anything and everything. Yesterday was just funny, his exchange with Roger. I really love the way he loves Roger! Hey Utch, thank you. Stan is my second favourite player, even before he became GS-Stan. I am watching Novak right now, he is playing great of course. Still think he won’t make the final.